ITSL Video Cloud provides virtual meeting rooms to connect not just regional teams but global offices, supply chain, and clients. We help you bring multiple offices and devices into the meeting. That’s how we eliminate the need for onsite hardware, IT support and complicated setup. Our services are focused on making the existing point-to-point hardware work for you and breathe new life into tired video systems. As one of the most reputed names in cloud-based service providers in the industry, we ensure a robust and reliable platform that is accessible from anywhere anytime. It is a service that truly helps you utilise two of the major benefits of cloud; cost saving and convenience. Flexibility is another defining factor of our cloud based virtual meeting service. We are able to cater to meetings ranging from five to forty-nine seats. 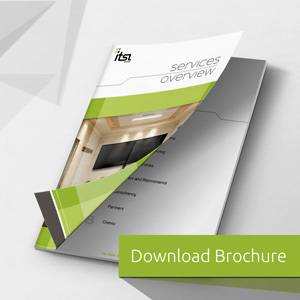 So, whether you have a small team looking for a budget friendly solution or a multi-national corporation seeking the most robust technology, you can rely on ITSL. With our virtual meeting solution you will be able to bring your regional offices and home workers all into the same meeting regardless of geographic location. You can participate from a video conference room, your desktop, tablet or other mobile device. You have the flexibility to see all sites at the same time or choose your favourite view. We enable you to share your desktop content for PowerPoint, spreadsheets, documents and more. You can see the people you are presenting to and engage with them just like in a physical meeting. Over 90% of communication is visual. You can purvey your message or presentation to your team or to your customers. With the ability to track and measure performance, you are able to see the impact. What truly sets ITSL apart in this arena is our team’s ability to understand the specific needs of every client and present a customised solution. We further strengthen our services by choosing highly respected partners who promise the same level of quality and satisfaction as ITSL. While our customised solutions are designed for your needs and requirements, we offer complete freedom and flexibility when it comes to accommodating your growing needs with time. It helps you streamline your business cost without cutting back on the benefits of advanced virtual meeting technology. Moreover, we keep in mind that not every member of your team may be tech savvy, which is why we design our virtual meeting solutions to be extremely easy-to-use. We take care of the technical aspect so that all you need to do is use the simple interface to easily initiate and manage a virtual meeting. Finally, ITSL promises both clarity and quality for voice and video. You can expect the best virtual meeting experience without any technical glitches and troubles. Get ready for a virtual experience as close to reality as it gets. At ITSL, we believe that virtual meeting capabilities are now an essential requirement for any business that aims to stretch its influence beyond local boundaries. The cost saving advantages are unbelievable, and you are just one call away from discovering how your business can benefit from our service.